Sometimes, you need to know what the security identifier (SID) is for a specific user on the system. A SID is a string value of variable length that is used to uniquely identify users or groups, and control their access to various resources like files, registry keys, network shares etc. Each account has a unique SID that an authority, such as a Windows domain, issues. The SID is stored in the security database. When a user logs on, the system retrieves the user SID from the database, places the SID in the user access token, and then uses the SID in the user access token to identify the user in all subsequent interactions with Windows security. Each SID is a unique identifier for a user or group, and a different user or group cannot have the same SID. This tutorial will show you different ways on how to find the security identifier (SID) of a user account in Vista, Windows 7, Windows 8, and Windows 10. 2. Enter the command below, and press Enter. Substitute username in the command above with the actual user name (ex: "Brink") of the account you want to find the SID for. Substitute <sid> in the command above with the actual SID (ex: "S-1-5-21-237214570-1361766723-3061440971-1001") of the account you want to see the name for. This option has one limitation which is you can only get the SID of either a local user or a domain user who has logged in at least once onto this PC. 3. Each of the items at this hive is named with the SID of the account. 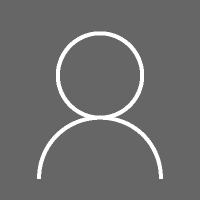 By looking at the ProfileImagePath key for each SID, you can identify the account’s name. For example, the S-1-5-21-237214570-1361766723-3061440971-1001 SID key is for the user with the C:\Users\Brink profile folder path and Brink being the account name. Some useful SID related functions for script use. Also demonstrates how to retrieve SID information from .NET instead of WMI. This works perfectly but it only works in Command Prompt and not in a .bat file. I also cannot assign it to a string variable since it's not just SID and is a multi line string. If you like, you could use the command in Option 1 or 3 in a .bat file. Is a standard user account really necessary for tight security for the home user or will a well secured administrator account be sufficient?